The chiptune scene has exploded in the last decade, with bands like Animanaguchi using old video game hardware to create new sounds that benefit from the simplicity and retro stylings of their instruments. The movement has also generated a ton of covers of popular songs, most of them from upbeat, poppy albums. It’s rarer for slower, less energetic tunes to get the 8-bit treatment, even though they can be just as (if not more) beautiful than the fast-paced stuff. Take for example, Tom Waits’ growling, low-fi, bluesy 1999 album Mule Variations, which turns out to work surprisingly well when stripped down to the kinds of sounds that emanate from an old Game Boy. We know this courtesy of online musician Buddy Peace, who released Donkey Kong Variations, his 8-bit tribute to Waits’ work, in June. 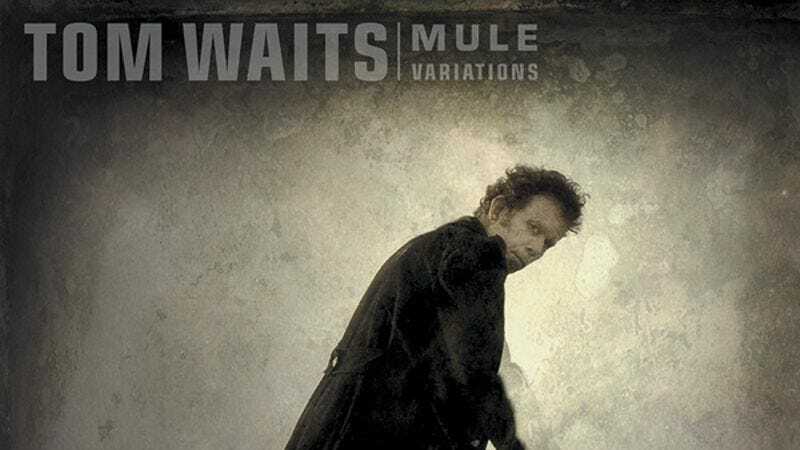 While the loss of Waits’ distinctive voice robs the songs of some of their identity, it also removes distractions and emphasizes his talent for raw, driving melodies. It’s not clear if Waits would appreciate the inherently sanitizing effect of electronic filters and instrumentation on his gritty tracks, but it’s hard to deny that Peace’s version of “Hold On” would make pretty catchy background music for a Super Mario Bros. level. You can listen to the album below, or on Peace’s Bandcamp page.